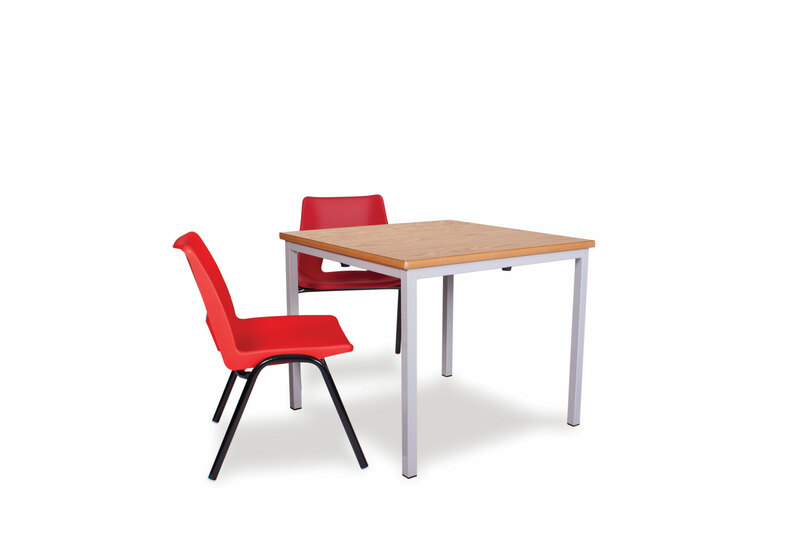 Our 1.5mm gauge four leg frames may be powder coated in EPC finish for maximum durability. 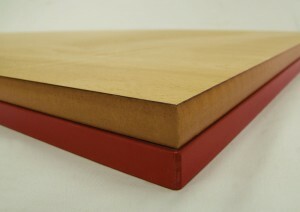 We supply a wide range of work top finishes including Laminated MDF in Beech, Blue, Red, Green and Yellow. 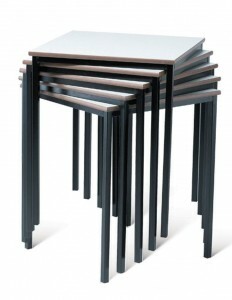 We also offer a selection of tables with a clear lacquered edge or 2mm PVC edge. 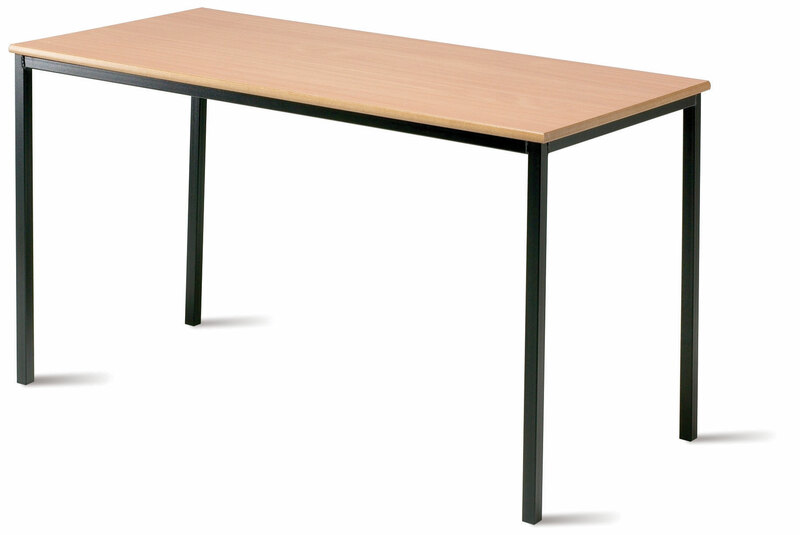 Table tops are of 18mm MDF as standard, 25mm MDF is also available on request.